General Description: Bahia Del Sol is located 200 m from the sandy beach. The closest cities to the hotel are Paguera (7 km), Palma De Mallorca (20 km) and Palmanova (6 km). 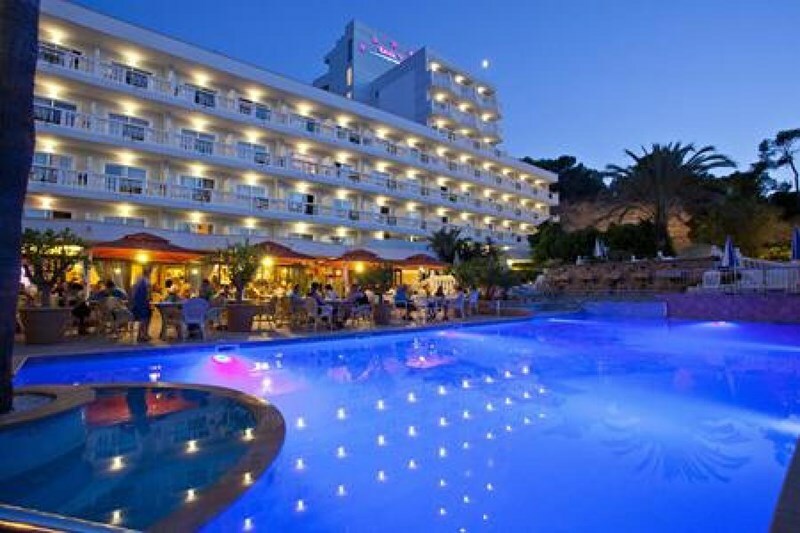 The hotel located in Santa Ponsa has 209 rooms and was renovated in 2015, air conditioning and 5 elevators are available. To make your stay more comfortable a conference room, a reception, a hairdresser, a lounge and a lobby are available. A playground and an entertainment program for children are available. The staff in this 8 storey hotel speaks English, German, French and Spanish. For guests who wish to be mobile, bicycle rental and car rental can be arranged. 2 fresh water swimming pools, seasonally open with a separate children's pool are available. For convenience, refreshing drinks are offered at the pool bar. Sunshades and sunbeds are available for an additional fee at the beach. Sunshades are available free of charge at the pool.